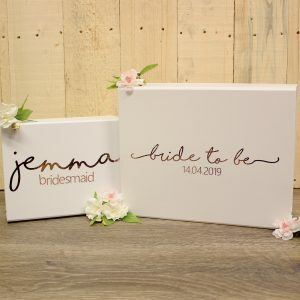 These beautiful snap shut gift boxes are the perfect way to say thank you to your Bride or Bridesmaids. 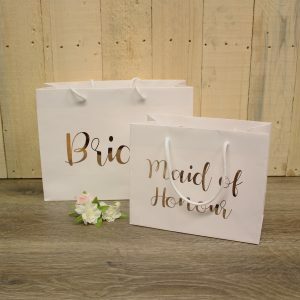 These lovely boxes come in two sizes & in three colours, Black, grey & white. Boxes come printed with our fabulous Foil print. Available in gold, silver and the latest trend rose gold. 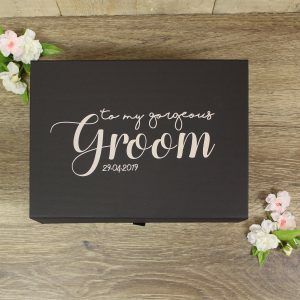 Personalised gift boxes are ideal for you to add small gifts to the boxes and is a great way to show everyone how much they mean to you. The pretty ribbon tab also allows easy opening. 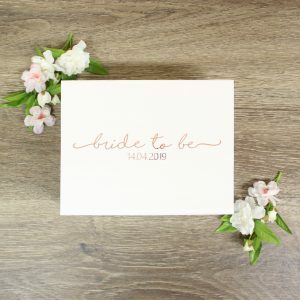 This beautiful snap shut gift box is a perfect way to say thank you to your husband to be on your special day. 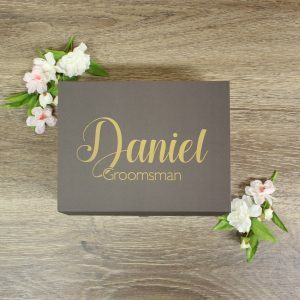 This beautiful snap shut gift box is a perfect box to give to your husband Groomsman or Bestman on your special day. 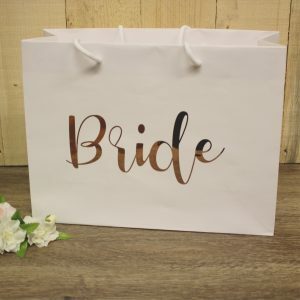 To make this gift box extra special you can not only personalise the box with the persons name, role or wedding date, but you can choose the colour of the writing and the box too.